The war between Konami and Diego Maradona is set to continue, with the former player angrily lashing out against the video game developer. 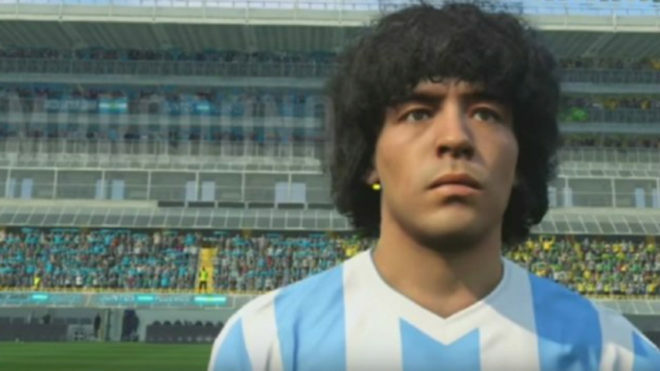 Maradona had originally threatened to sue the company over the use of his image in the game Pro Evolution Soccer 2017, without his prior consent. 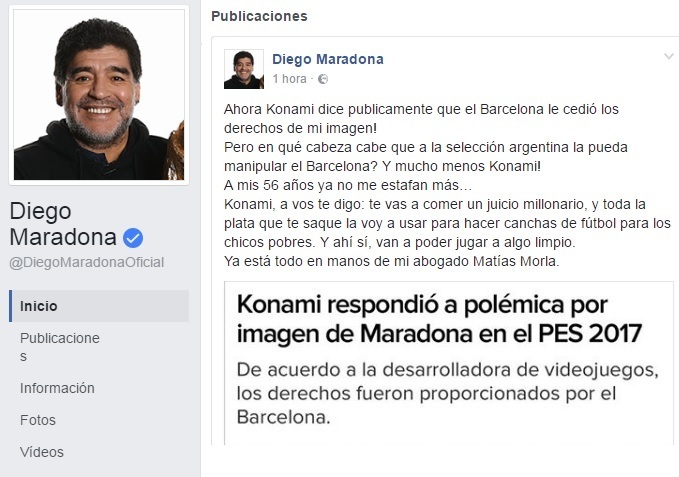 Konami denied the allegations, saying that ‘our company is using the player appropriately’, insisting that they were within their rights to use his image, much to Maradona’s fury. “Now Konami have said publicly that Barcelona gave them the rights to use my image!” he wrote on Facebook. “How can the Argentina national team be manipulated for use through Barcelona? Konami certainly can’t do this. Konami reached an agreement with Barcelona to use their players and have them fully licenced for the next three years, which appears to be the basis of their defence. Barcelona aren’t the only club that Konami have such a deal with as they also have similar agreements with Liverpool, Borussia Dortmund and River Plate.